How to Fix Error Code 0x803F8001 on Sticky Notes? Home »	Fix » How to Fix Error Code 0x803F8001 on Sticky Notes? Issue: How to Fix Error Code 0x803F8001 on Sticky Notes? I was using Sticky Notes for ages and everything worked fine. I got used to those notes, so it’s more than annoying not being able to use them. Just recently I’ve installed the latest Windows 10 build, so I kind of blame that build on damaging Sticky Notes (though don’t know if the upgrade is the core of the issue). When I try to open Sticky Notes, I’m greeted with a notification “Check your account” and bla bla bla. Then when I try to reinstall it or update via the store, the error code 0x803F8001 shows up. Would you be kind to help me with this issue? Thanks! Sticky Notes accessory on Windows 10 and older versions is a useful tool that allows posting notes all over the desktop. These notes help people to stay organized or reminds about upcoming events. The information on sticky notes can be colored, highlighted in bold, the font can be enlarged, etc. to emphasize the importance of the information. Indeed, people who are working a lot with their PCs tend to use Sticky Notes every day, so confronting with an error code 0x803F8001 may be a very irritating experience. Check your Account. Sticky Notes is currently not available to you. The message does not contain a bug check or other potentially useful information, except a link to Windows Store and a Close button. 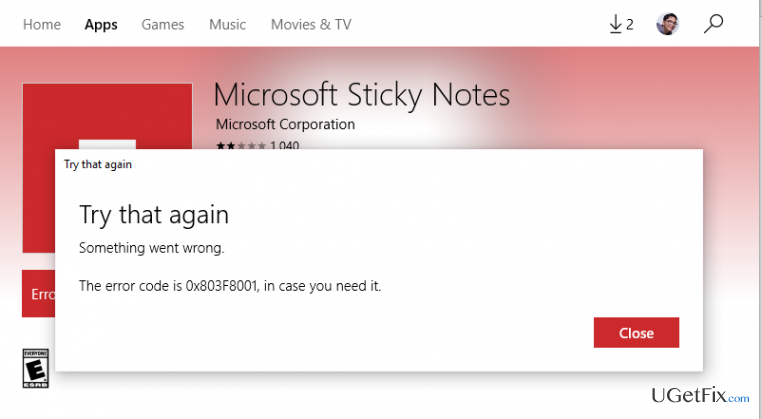 Clicking on the link to Windows Store opens the Sticky Notes app and reports about available updates. However, if the user opts for installing it, the error code 0x803F8001 shows up. We believe that this error is annoying, just like any other system’s malfunction, but this time Microsoft engineers did their best and provided some useful tips on how to solve the bug. Thus, don’t wait any longer and perform the steps given below. %appdata%\Microsoft\Sticky Notes\StickyNotes.snt (Windows 7/8/10, a priori to 1607 update). C:\Users\%username%\AppData\Local\Packages\Microsoft.MicrosoftStickyNotes_8wekyb3d8bbwe\LocalState\plum.sqlite (Windows 10 OS running 1607 update or later). Click Win key + I to open Settings. Select System and open Apps & features section. Find Sticky Notes, click on it, and select Advanced options. When a confirmation window shows up, click OK or Yes to proceed. Once done, reboot the system. 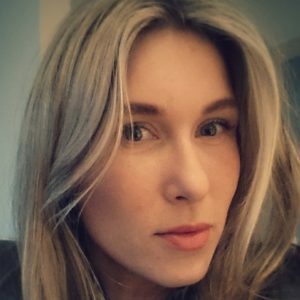 Open Start and type PowerShell. Type Get-AppxPackage -name *note* and press Enter. This command should bring you a list of apps that contain a word ‘note’ in their name. On the left pane, find PackageFullName and InstallLocation entries. On the right side of these entries, you should see a list of values consisting or various symbols. Make sure you copy both entries and save them in a Notepad file. After that, type Remove-AppxPackage [name_of_your_sticky_note_package] and press Enter. NOTE: Instead of name_of_your_sticky_note_package, insert the value that has been given under PackageFullName entry you’ve just saved in Notepad. Then go to Windows Store and reinstall Sticky Notes. Hopefully, you’ve managed to fix 0x803F8001 on Sticky Notes successfully. Finally, we would recommend you to scan the system with Reimage, so that it would scan for file remnants on registries. This piece of software will also perform additional tasks, including malware removal, startup improvements, or replacement of damaged Windows files.